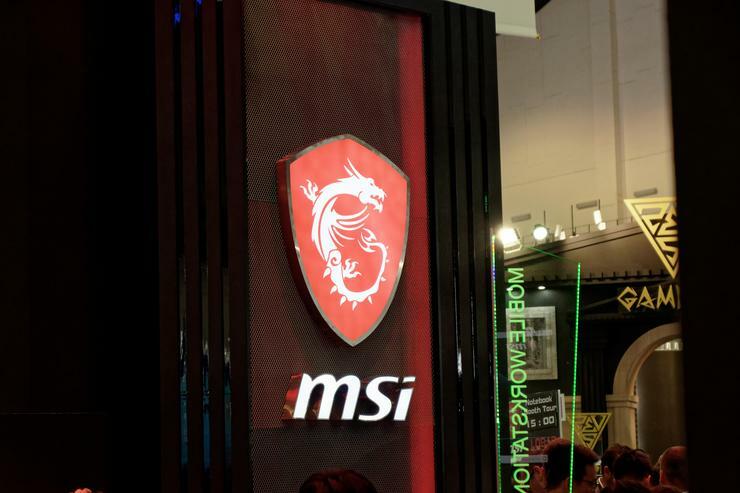 In the past, MSI have generally stuck to their guns and played in the gaming hardware space. In recent years, they've started experimenting with professional workstations and powerbooks. At this year's Computex, they continued to branch out. Here are all the new products they showed off. The hero model leading the charge in MSI's new Prestige range. The idea here is to go for a similar sort of stylish luxury-grade combination of slimness and grunt that ASUS' Zenbooks are usually known for delivering. Where MSI's other product families offer great performance, they're sometimes a little off the mark when it comes to portability. 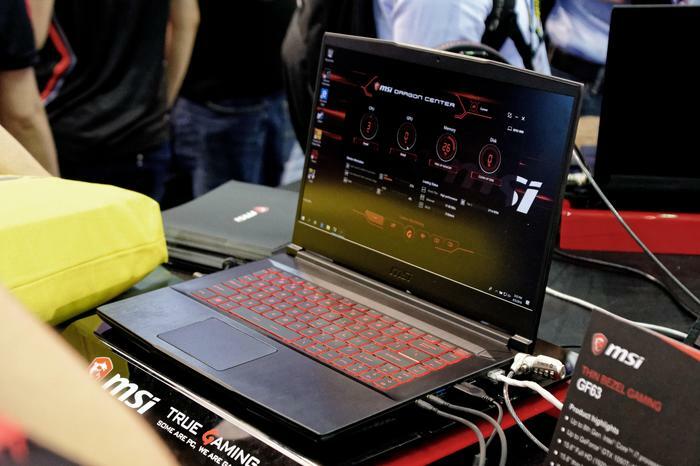 Accordingly, the MSI PS42 holds up as some of MSI's thinnest and lightest notebooks to date. 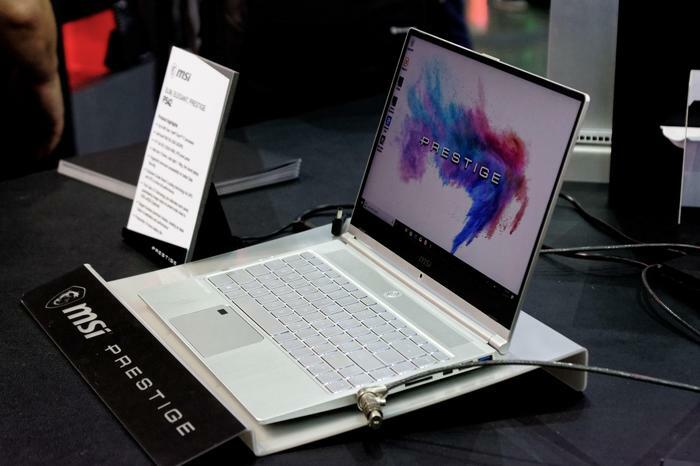 It's got ultra-slim bezels, an 8th Gen i7 Intel Core Processor, Nvidia GeForce MX150 graphics, 2GB of RAM and a reported battery life of ten hours. In addition to the standard PS42, MSI say they're also looking to launch a special limited edition with fancier packaging to add extra flair. No word yet on exact pricing but MSI told us that the PS42 would be coming to Australia later this year. What's more, when it does, it's expected to sit well below the company's gaming and workstation devices in price. The latest portable PC in MSI's growing catalogue of workstations. 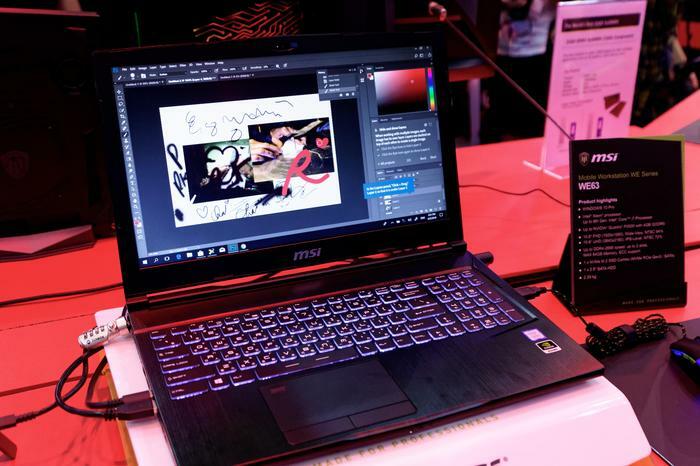 It ships with a 8th Gen i7 Intel Core CPU, up to 32GB of RAM, a 15.6-inch display and Nvidia-powered Quadro graphics. The WE63 is being pitched as 'the workstation for everyone' and the spec sheet reflects that. It's not quite as heavy duty or well-suited for power users as MSI's other workstation-focused fare but it'll probably come in a little cheaper when it comes to price. Again, there's no word yet on pricing but we expect this one to arrive sometime in the second half of the year. The GF series usually sits between the GP and GL series, and the new GF63 promises to leverage the advances MSI made with the GS65 and bring them back to a device with more conventional gaming notebook form-factor. It's basically the gamer's version of the former. Spec-wise, the GF63 features 8th Gen i7 Intel Core processors, 4GB of RAM either Nvidia GeForce GTX 1050 or 1050 Ti graphics. It also features the same ultra-slim bezels found in the GS65 and a reported 7 hours of battery life. The main difference between the GF63 and MSI's other mainstream gaming fare is that it only featured red LED backlighting on the keyboard, versus the full-RGB spectrum found elsewhere. No word yet on price but expect this one to make its way to the local market later in 2018. In the US, it's expected to retail for about $999. So, depending on how that translates, this could well see it end up one of the more-affordable gaming laptops released this year. A software application that allows you to connect your Android smartphone to your MSI PC and then play mobile games on it using a mouse and keyboard. MSI told us that it'll ship on all future notebooks but couldn't confirm whether or not it'd be available to older or non-MSI customers. At a baseline, it's always nice to have more options. And this app does look like it'll expand your options when it comes to mobile gaming. Even as someone who doesn't dabble too often in the mobile gaming space, there's definitely a whole lot of potential value in being able to easily pull content over onto a larger screen. MSI are looking to provide just that for heavy mobile gamers with the new MSI App Player. It'll be free and launch sometime in Q3.